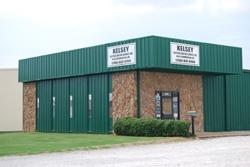 Kelsey Electric Motor Service, Inc was established in 1978 and, with over 30 years in the industry, has quickly become a leader in sales and repairs for residential, commercial and industrial motors, and pumps. We are also a leading welding equipment repair shop in the Huntsville metropolitan area. We maintain a large inventory of motors and supplies; we also assist our customers in locating hard-to-find items. As a member of the EASA, you can rest assured that when you depend on us for your electrical repairs, they will be completed with the highest standard of workmanship using only quality materials and to EASA standards. 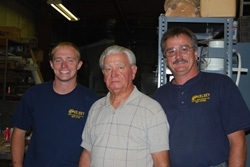 Kelsey Electric Motor Service, Inc takes pride in its work and is committed to the total satisfaction of its customers. Let us assist you; we help you find the right solutions for your problems when it comes to electric motors and pumps. We are available to you 24/7, offer competitive pricing and provide pick up and delivery. Contact us at 256-837-6150; we guarantee that you’ll be pleasantly surprised with the level of service you receive at Kelsey Electric Motor Service, Inc.